All the music of “RDRB” is written and sung by Benjamin Smith. Uncle Ben, a California native, is no stranger to the music industry. He has worked in entertainment within San Francisco for over 20 years. For a short time as a young child Ben lived in Stillwater Oklahoma where his father, Don Smith, pastored a small church. The Associate Pastor was Steve Irby who formerly was the piano player of “Moses” the very first ‘Red Dirt’ rock band. In the 70’s Moses coined the phrase ‘Red Dirt Music’ when they started the independent label “Red Dirt Records.” Don and Steve cut two gospel albums together in Stillwater during the early 80’s and you can hear those old “Gospel Rock” songs here: BEHOLD ZION . 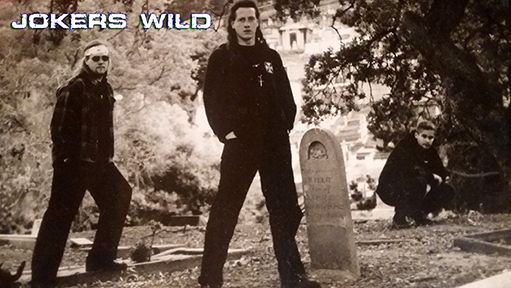 In California at the age of 16 Ben with close friends formed the rock group Jokers Wild. A year later they were playing in nightclubs that they weren’t legally allowed to be in. Eventually Jokers Wild signed a record deal. It was not what they dreamed of and the toxic situation caused the band to separate. At the age of 20 Ben switched gears and put himself through college by working in large San Francisco dance clubs. During that time he got a street education on how to prosper in a business full of addiction, celebrity artists, quick money and even faster women. It became a successful career well over 20 years and two college degrees he has never used. Eventually the party ended and Ben found himself living in Grove Oklahoma. Sitting on the front porch of the lake house he took solitude in writing music, re-discovering God and himself. Surrounded by the inspiration of nature, fueled by shot glasses of whisky, some back road music with a bad attitude was created and RDRB was born. But that is another story made for the movies. Just one more chapter in an amazing journey!